"When I connect my iPhone to iTunes, it gets stuck at the iTunes logo. When I try to restore or recover, it goes fine till around 60%. Then it tells me, 'iPhone could not be restored unknown error 1, does anyone know how to fix iTunes error 1?" Many users restore their iPhone in order to fix some software problems, and it usually works really well. But sometime they may notice that an error 1 appears and they cannot finish the restoring, this is one of the common iTunes errors. iTunes restore error 1 is an error indicates that there is an issue with the hardware itself. Apple recommends that you perform troubleshooting security software issues and restore your device in a good, working computer. If the problem still exists, you may need to go to the Apple service. But before that, you can always try the solutions recommended in this article to get a free repair of iTunes error 1 by yourself. Here we have rounded up the some common ways of fixing and repairing iTunes error when restoring as well as upgrading or downgrading your iPhone X/8/8 Plus7/7Plus/6, iPod and iPad. After checking, simple download and install any available iTunes updates. Software like antivirus or firewall can protect your computer from the attack of other certain data. However, you need to keep these programs up to date and configure them to protect your computer effectively. If there's a router on the local network, additional security policy applied on the router may block some data required to restore your iPhone. As said above, if you are failed to update to the latest iTunes version, I think Tenorshare TunesCare is the best choice to detect your iTunes problems and reintasll your iTunes to the latest version. Except the mentioned feature, TunesCare is also a advanced tool to fix all iTunes errors in one click. Run Tenorshare TunesCare after installing and click "Fix All iTunes Issues". This way will fix all iTunes issues thoroughly by removing corrupted library and then rebuilding iTunes. If your iPhone performs abnormally, you will see the interface below. Click "Repair iTunes" to download iTunes drives and repair iTunes following the wizard. Error negative 1 can also be iOS system error at the boot level. This can simply be fixed with a restore to factory defaults. But some users have the truoble in restoring their iPhone. They find that the devices stucked in recovery mode. If you are facing the same problems now, we recommend you Tenorshare ReiBoot to exit recovery mode and repair your iPhone operating system in one click. A guide for exiting recovery mode to fix iTunes restore error 1. Step 1:Connect your iOS device to computer via the OEM USB cable. 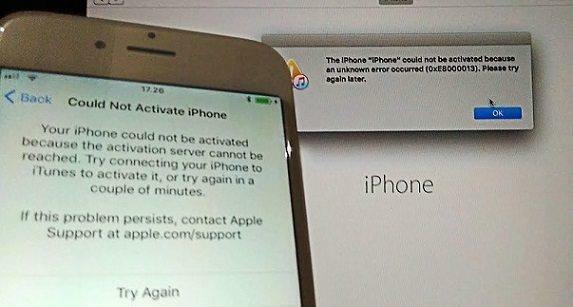 Step 2: As Tenorshare ReiBoot detect your device, click "Exit Recovery Mode" to reboot iPhone. 3. Download and install ReiBoot on your computer and then run the software and connect iPhone to computer. Click "Fix All iOS Stuck" once the device is recognized. 4. When your iPhone is working normally, you'll see an interface like below. You can click "Fix Now" to repair system. 5. The whole process will take few minutes; do not disconnect the device during the process. Once the repairing process ends, your iOS device will boot up as normal. Done! Hope the methods in this post can help you solve your annoying iTunes errors and restore iPhone successfully. If you still have questions in fixing and bypassing the error 1 or other iTunes error, you can leave us a message in the comment section, we'll reply you as soon as possible!